These past two weeks we had the Study Group Workshops, the “Undergraduate Research Opportunities” Workshop, and Career Center’s “Resume and Internships” Workshop! The summer students who came out to these workshops were engaged and asked important questions in regards to forming study groups, finding research opportunities, and creating resumes. One of the thought provoking questions we asked at the Study Group workshop was “What is the single best predictor of success in college?” Feel free to comment below what you believe is the single best predictor of academic success. I believe that the information shared at these different workshops will be beneficial to your success as UMBC students and also in your future careers. Also, check out this short clip on how summer research changed Dr. Smith’s life http://my.umbc.edu/groups/undergradresearch/media/4765. It’s NEVER too late to start doing research! 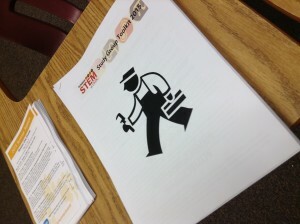 Check out the photos and resources from the workshops! The Office of Undergraduate Research has more information on various research opportunities on and off-campus. Check out the opportunities for each major. Career Center has liaisons for each discipline to help UMBC students create their resume and cover letter for a successful job search. Just set up an appointment to drop-in during office hours.